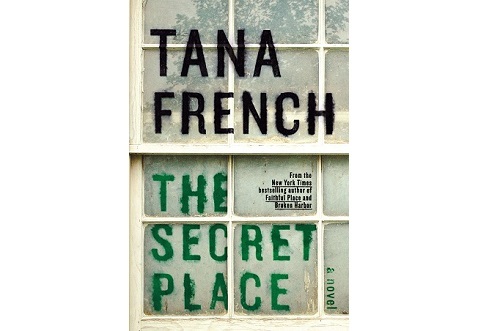 The Secret Place is Tana French’s 5th novel about the Dublin Murder Squad. I like Tana French. She is a master at creating an uncomfortable feeling and skilled at creating exciting and complex characters. The detectives Stephen Moran and Antoinette Conway are no exceptions. Stephen is a young detective that takes every chance to advance his career and Antoinette has become somewhat of an ice queen to deal with the macho culture in the department. The novel circles around two cliques of teenage girls at an upper-class girls’ boarding school. A student from the neighboring boys’ boarding school is found murdered outside the girls’ school. The investigation is closed after a while, but then one of the girls comes to Stephen with a clue suggesting that someone from the girls’ school is involved. The girls have a bulletin board, The Secret Place, where secrets can be shared anonymously and someone posted a note saying “I know who did it.” Moran and Conway visit the school and start investigating the tangled web of secrets and intrigues. Two rivaling cliques soon become the focus of the investigation. …intriguing/mean/confused teenage girls? There must be something extra fascinating with the idea that a cute, young and seemingly innocent teenage girl also can be the opposite. Tana French digs deep into the teenage girls’ insecurities, friendships, envy, newly found hormones and expectations, and she does it well. It is just that I have read similar things before. It does not feel fresh. That is why I, despite the novel being well written and uncomfortable, still do not get hooked. Tana usually varies settings and themes, so I look forward to her next novel. Unfortunately she also tends to create new main characters, which is too bad, because I would have liked to follow these in coming novels as well.